Some of the most innovative, sympathetic and ingenious new buildings in the New Forest have been celebrated with awards. The area’s distinctive and attractive buildings make an important contribution to the unique character of the National Park’s communities. Now the best new developments over the past three years have been recognised in the New Forest National Park Authority’s annual Building Design Awards. The awards aim to celebrate high quality development and recognise the contribution that excellent design makes to the built environment of the New Forest. The winner of the best conservation scheme category is a farmhouse in the Exbury area (below). It was designed by McLean Quinlan Architects and Footprint Architects and built by Emery Building and Carpentry. The owners have asked to remain anonymous. 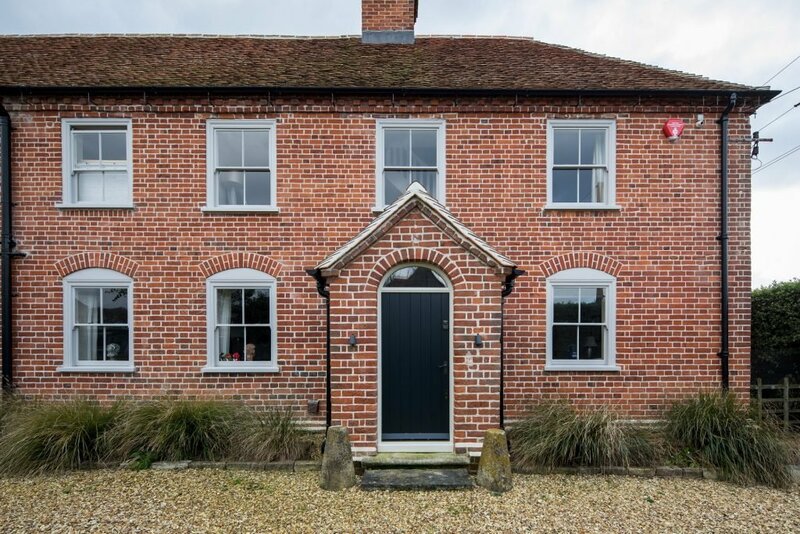 The farmhouse has been fully restored and minimally extended in a sympathetic style with a high standard of materials and design throughout. The members on the awards panel commended its simplicity and the obvious conservation benefit to the listed buildings on the site. The panel have also issued a certificate of high commendation to Woodgreen Methodist Church, owned by Jennifer Hart. Renovation work successfully retained the proportions and materials that make it a special building and have removed some unsightly additions to the rear to better reveal the form and scale of the original chapel. 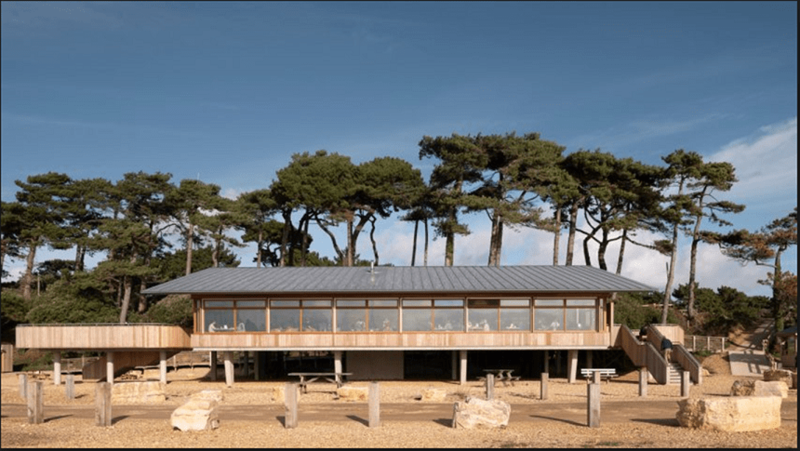 The best non-residential scheme is the rebuilt visitor centre at Lepe Country Park (below). It was designed by Hampshire County Council Property Services Department and built by W. Stirland Ltd. The members of the awards panel commended this scheme saying that it is entirely suitable for the site and the timber used in the building has weathered to blend in with the colour of the sand and cliff. This site is well known for flooding and its position on stilts overcomes this issue meaning that the building can survive in this harsh position. 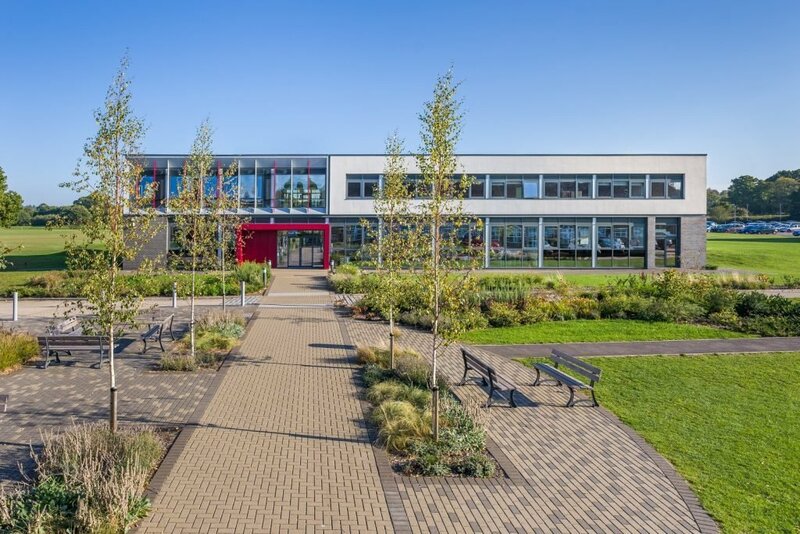 The panel have also issued a certificate of high commendation to the STEM (science, technology, engineering and maths) Building at Brockenhurst College (below), designed by HNW Architects. The members of the awards panel stated that this building was an excellent piece of modern design that was suited to the site for which it was designed. Leo Randall, Chairman of the Planning Committee, said: ‘Around 1,000 planning applications are submitted in the National Park each year – with more than 80 per cent approved – and as the planning authority we appreciate the importance of good design in the National Park. ‘We are pleased to be rewarding buildings that have been positively received by those living in or visiting the National Park and would like to thank all the residents, parish councils and architects for nominating projects for an award. The awards were presented to the winners at the full National Park Authority meeting on Thursday 28 March 2019. Front L-R: Jennifer Hart, Woodgreen Methodist Church; Martin Hallam, Hampshire County Council; Oliver Crosthwaite-Eyre, New Forest National Park Authority Chairman; Alistair Bowden, Maclean Quinlan Architects; David Steel, HNW Architects. Back L-R: Colin Burt, chartered surveyor for Woodgreen Methodist Church; Paul Lockyer, PWH Building LTD; Mike Ford, Footprint Architects; Andrew Parker, Hampshire County Council.